The unofficial all-in-one mass update tool designed to be the perfect companion to the JSS Admin. 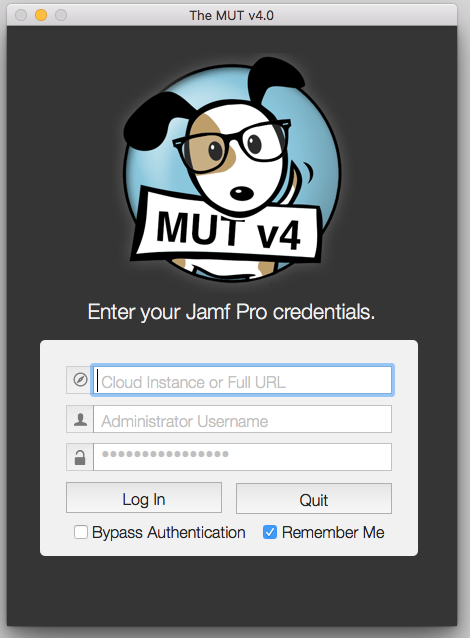 Please note that the The MUT is designed, built, and maintained outside of JAMF Software. It is not affiliated with JAMF Software, it is not officially maintained by JAMF Software. This app is a learning project for me to learn how to use Xcode and program in Swift, and while I will do my best to maintain it, I cannot guarantee its functionality. Allow updating multiple lines at once? Resolved an old, intermittent issue that sometimes required CSV files to be saved in a special format. MUT now handles all forms of line break, CR, LF, and CRLF. No more "Windows Comma Separated" or "MSDOS Comma Separated" required. eg: To change your username naming schema, you could create a spreadsheet with old username in Column A, new username in B. Display Name will now disappear if you select Mobile Device, and will reappear if you re-select "Computer"
"OH MY GOD I LOVE THIS APP!!!!!!!!" "Dude, I love the MUT. I love it SO much." "You are a wizard. This is amazing!" "The JSS MUT is brilliant."